What an exciting time of life! We are so privileged to have an Early Learning Centre where children at this impressionable age can be taught and nurtured by our loving, caring, and dedicated Christian staff. These years are critical in creating experiences that will establish a love and passion for learning. We want children to be curious, ask questions, take learning risks, and learn from the adventure. Play is the natural way for children to discover, create, and learn to become objective, independent thinkers. Research shows that play provides the most appropriate stimulus for brain development, therefore, we offer a play-based curriculum in both our Pre-Kindy and Kindy. The Early Learning Centre offers the option of an extended day program from 8:00am to 4:00pm during school terms. This provides flexibility for families requiring extra hours of care, and with our pricing structure, allows families to enrol for a long day (8:00am to 4:00pm) or a short day. We also offer a Vacation Care program for Kindy and Pre-Kindy children during school holidays from 8:00am to 4:00pm. Our Pre-Kindy children experience a smooth transition to our Kindy as they are well prepared by our excellent educational program. By enrolling in our Kindy, you will be given preference to enter Prep at our College, providing continuity and a positive schooling experience for your child. Program times – 8:30am to 2:30pm (short day). Our Kindy program is for children who are 4 years old by 30 June. This is a teacher-led program with an Early Childhood trained teacher and assistant in the classroom. We currently have two classes, 6 hours per day, for 5 days per fortnight on a rotating roster. Program times – 8:30am – 2:00pm (short day). Our Pre-Kindy program is for children who are 3 years of age and are not eligible for the Kindy program. A group leader and assistant run this program. We have two classes, 5½ hours per day, 8:30am – 2:00pm, 2 days per week. Currently these classes run on Monday/Tuesday and Thursday/Friday. We invite you to call our Early Learning Centre on 5436 6797 to arrange a tour of our Centre. Completing and returning a Pre-Kindy/Kindy Application form is the best way to place your child on the waiting list for Pre-Kindy and Kindy. Pre-Kindy enrolments are progressive during the first half of the year, up to the 31st of July, as children reach the eligible age of 3. Enrolment offers are based on a place being available at the time your child turns 3. If we are able to offer you a place in Pre-Kindy, you will be contacted approximately one month prior to your child turning 3. In July of each year, children enrolled in our Pre-Kindy program are offered a Kindy place for the following year. Any available places are then offered to those on our waiting list, based on the date of enquiry on the Pre-Kindy/Kindy Application form. Early applications are advised as all classes fill quickly and waiting lists apply. 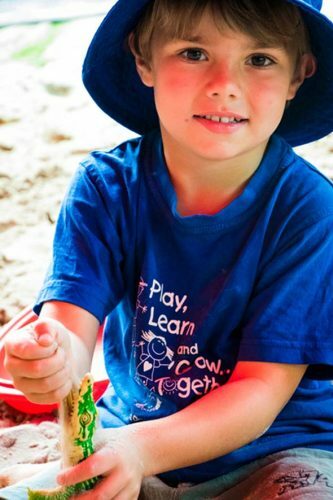 The Pre-Kindy/Kindy application forms can be returned via email to enrolments@calcc.qld.edu.au. Alternatively, you can phone 5436 6797 to make an appointment with the Director or by mail to Caloundra Christian College ELC, 7 Gregson Place, Caloundra QLD 4551. Parents are welcome to arrange a suitable time to visit with their child to begin the valuable familiarisation process.